A boozy Sunday brunch has long been a New York institution but slowly its making its way across the pond. I love a good 'sunday session' - you really can't get a better Sunday than an afternoon of eating, drinking and catching up with friends in London and I've now found the perfect place to do it. 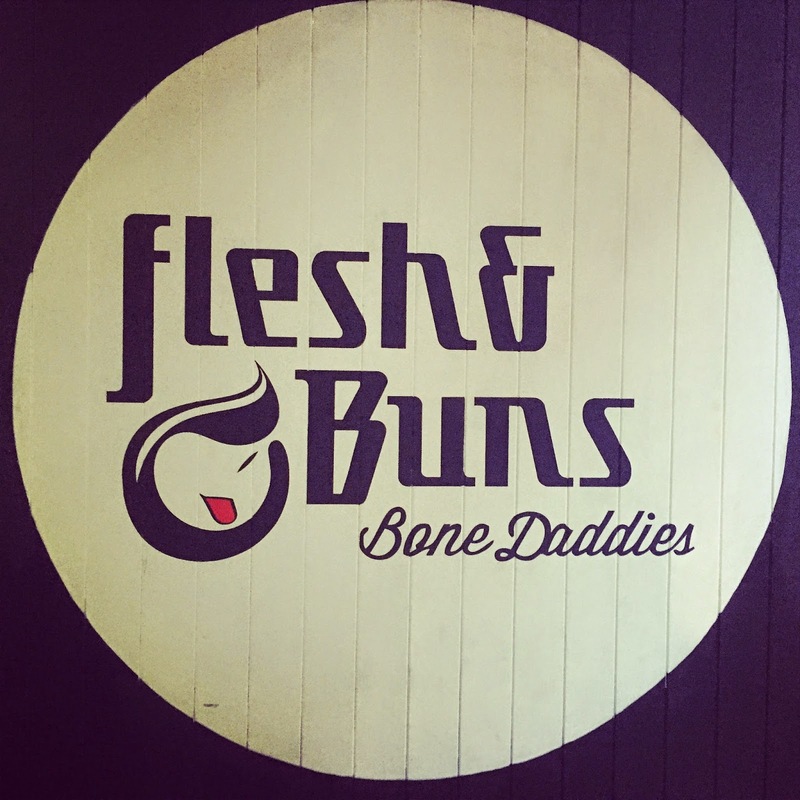 Over in Covent Garden, the people behind Bone Daddies have really hit the nail on the head with Flesh & Buns and their Sunday Brunch offer. For £39/46 you get to choose unlimited small dishes from their set menu (the more expensive option gives you access to both menus), a choice of 'flesh & buns' for your main course and dessert - plus unlimited red/wine wine or prosecco. Being the fine (read: greedy) eaters we are, Tom & I went for the £46 option so we could sample as many dishes on the menu as possible. ‘CHIPS & DIPS’ came up first – like a Japanese nachos! Rice crackers served with avocado shiso (like a guacamole) and a tomato jalapeno relish followed by a bowl of miso soup each. 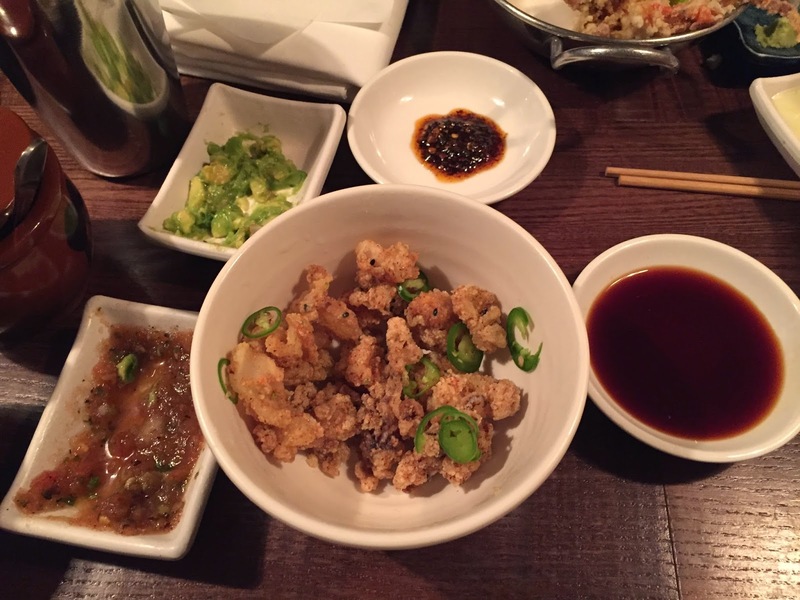 Fried salt and pepper squid – addictive and probably my favourite dish…. 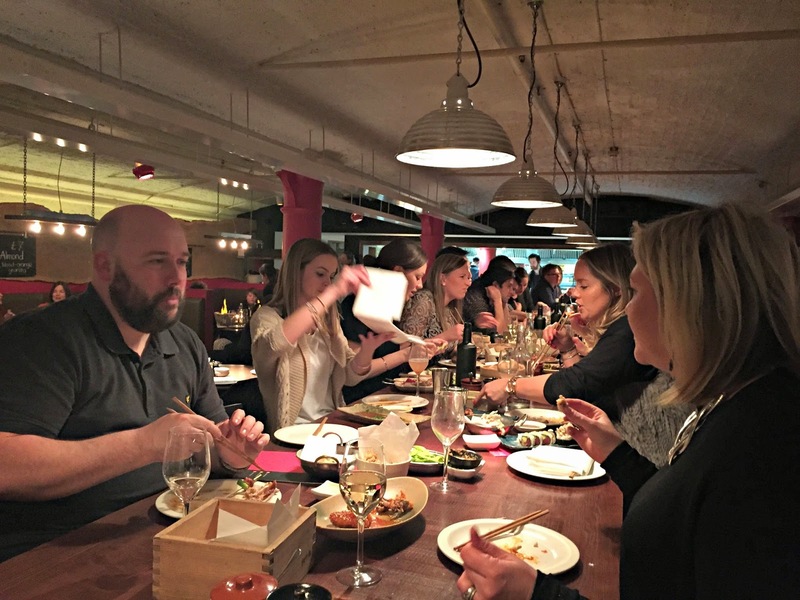 Soon softshell crab, spicy tuna rolls, California rolls and edamame appeared…. Pork belly being my favourite dish, I went for the piglet belly with mustard miso sauce and pickled apple – oh, my god. Look at those buns! It was like eating a meaty cloud…. 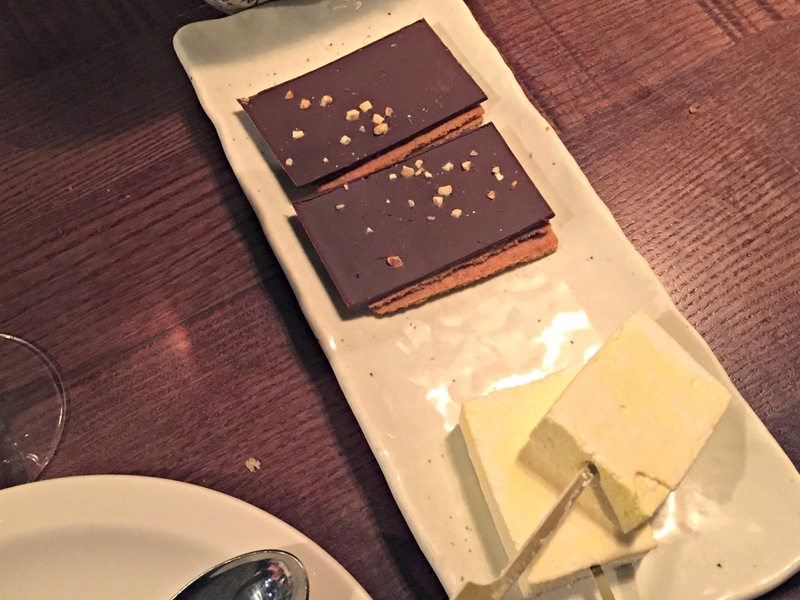 Top tip, save room for pudding (easier said than done)….DIY SMORES! 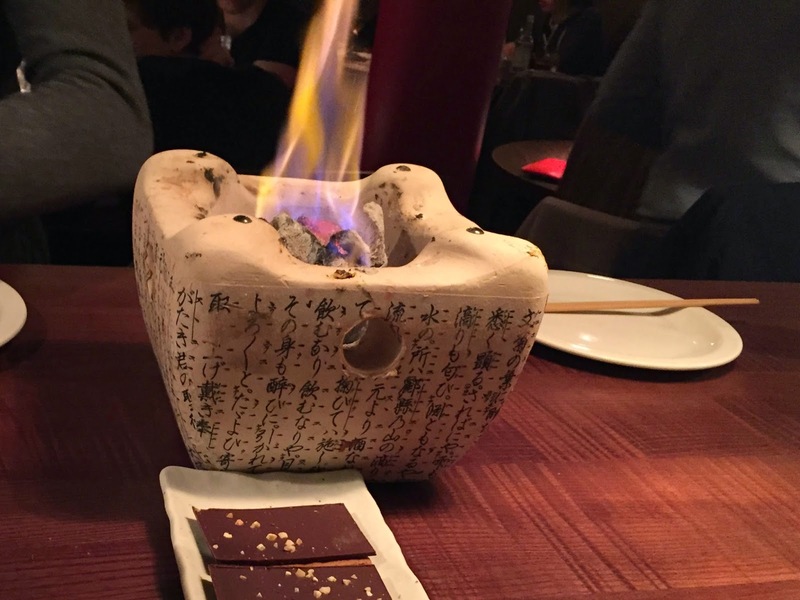 Complete with your own little fire…. 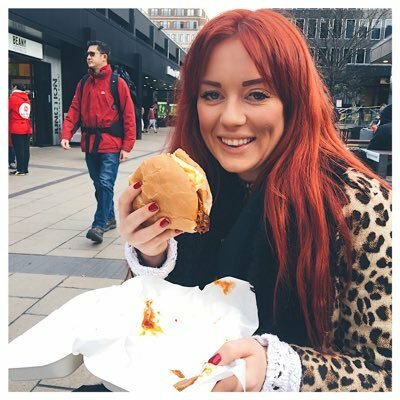 I had such a fun afternoon – the food is incredible, the atmosphere is relaxed and lively and it’s brilliant value for money! Get yourself down there, you’ll love it!